Is your pet a monster? 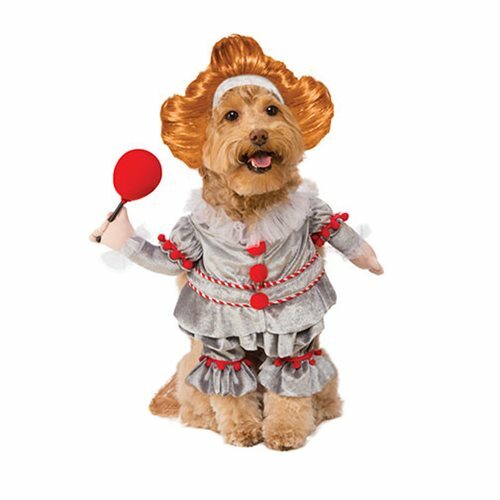 They will be when your dress them in this It Pennywise Small Pet Costume inspired by the terrifying character in the 2017 supernatural horror film It! Available in S and M sizes, it consists of a step-in shirt with wig. For larger pets, see the It Pennywise Large Pet Costume (sold separately).